Watchdog Live’s journalists asked staff if specific dishes contained one of the 14 major allergens, including nuts, mustard and celery – which is often used as flavouring in stocks and sauces. “Five is a significant number and if you scale it up nationally, it becomes a very, very large number indeed,” said Tony Lewis, the Chartered Institute of Environmental Health’s head of policy. While in one branch of Starbucks the advice was ambiguous, with a staff member initially telling the reporter the item he’d chosen – a lemon loaf cake with almonds in the ingredients – did not contain nuts, but ultimately advising there was still a risk of nut contamination. 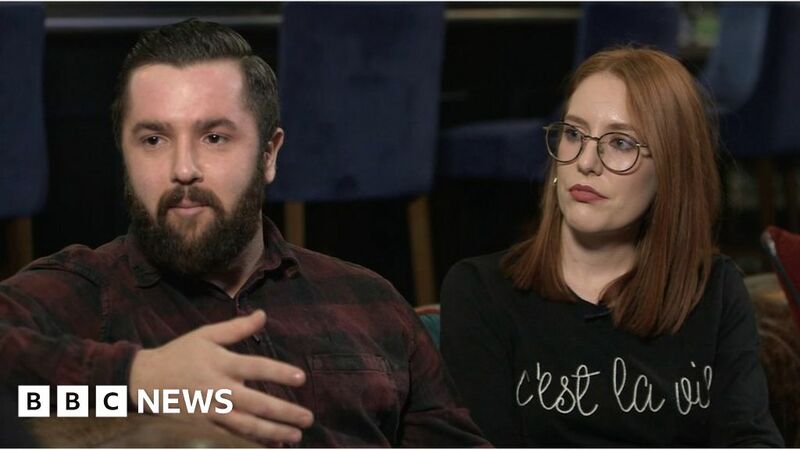 At one Frankie and Benny’s restaurant, a reporter was asked to agree to terms and conditions that state Frankie and Benny’s can never guarantee that a dish is completely free of any allergen – except for gluten. The server told the reporter the form “saves our back”. Matilda Ryley-Hicks and her partner Frank Halton, who both have a nut allergy, had a similar experience. When Ms Ryley-Hicks mentioned the allergies to staff in a branch of the chain Coast to Coast – which is owned by the same company as Frankie and Benny’s – she was shocked to be given an agreement to sign. “We deserve to live our lives as much as everybody else does – and we deserve to go out and enjoy eating in a restaurant as much as the next man,” added Mr Halton. ← Who is the highest-paid TV host in the world?